Two photographs to mark Holocaust Memorial Day. 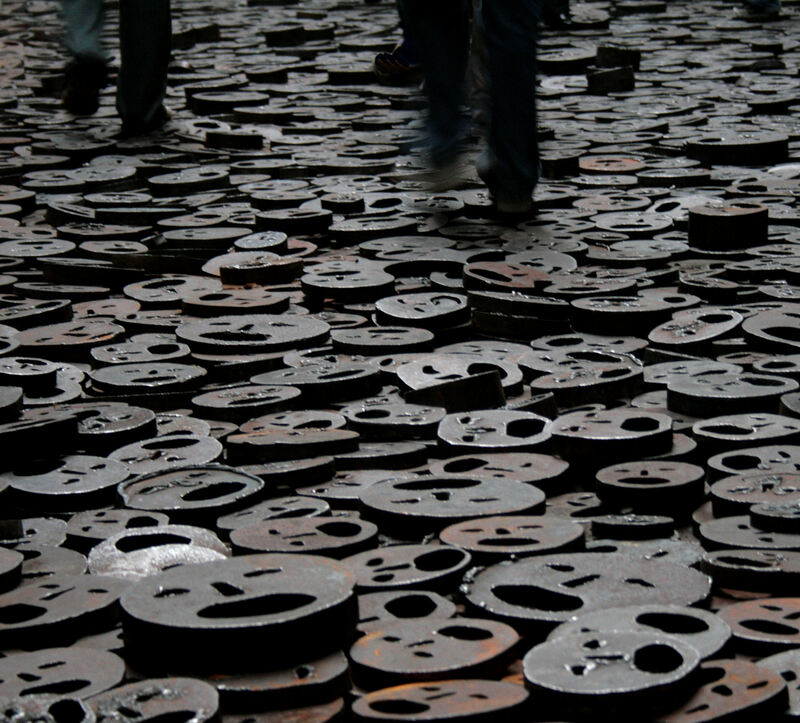 I took these at the Jewish Museum in Berlin.They depict the installation by Menashe Kadishman called Shalakhet (Fallen Leaves) in the Memory Void, which reflects the unimaginable loss of Jews murdered in Europe, and attempts to express what cannot be expressed. 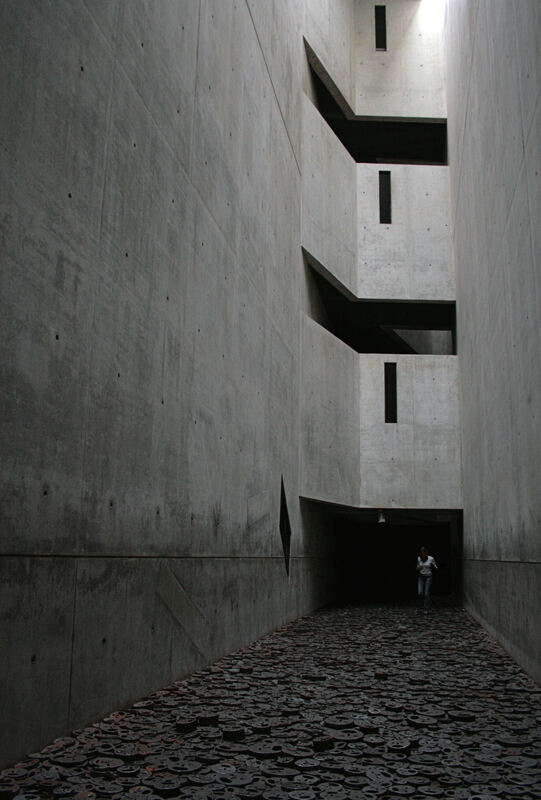 The Voids are bleak, cold, cavernous, concrete spaces from which there is seemingly no escape.